Turkey, 19th century. 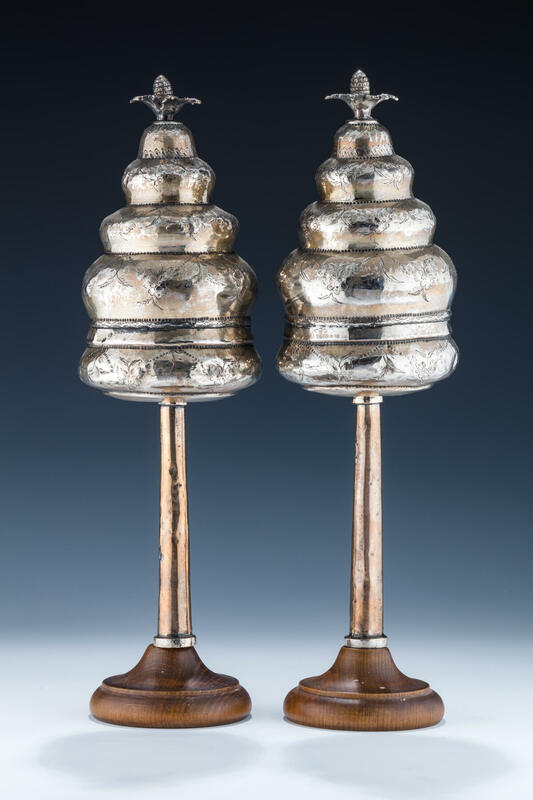 On thin staves with bulbous upper portions engraved and chased with floral designs. Topped with a flower. 12.3” tall.